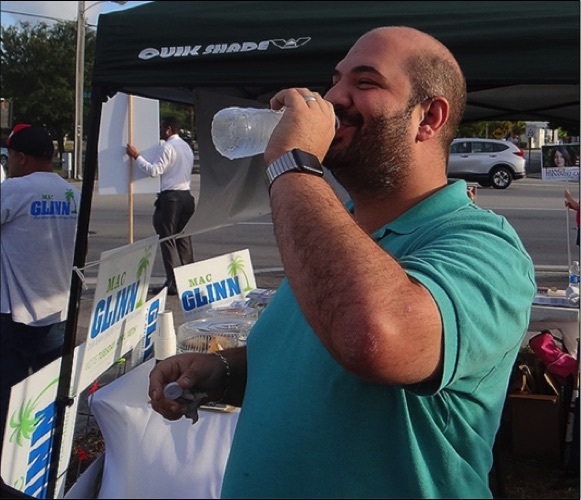 A couple weeks ago I posted a story on a Miami Shores Community Facebook page about Christian Ulvert and his campaign for the Village Council. 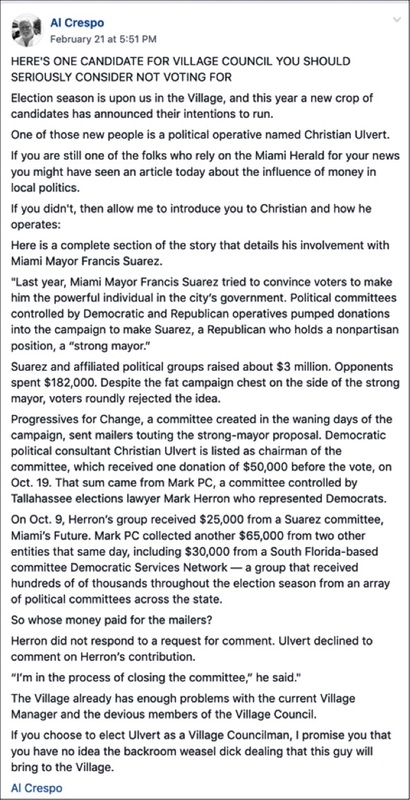 In that story I cited a portion of a Miami Herald story that had appeared several days before on the machinations that occur in Miami-Dade politics when it comes to deep-pocket donors and the ways that political campaigns are financed. I had to leave town right after posting that story, and I’ve just recently come back and in conversations with several folks last night about the current slate of candidates for Village Council, Ulvert’s name came up, along with a realization that few people in Miami Shores know what Ulvert really does for a living, or what the implications might be for the Village in having a political consultant as a member of the Village Council. My opposition to Ulvert being on the Council is based both on his past activities of which I and others have written about over the years, and also on the fact that I would be opposed to any other practitioners of the “Black Arts” that are practiced by political consultants in Miami-Dade County. Ulvert not only comes with baggage from previous political campaigns that he has managed, but while it’s not illegal for a political consultant to get elected to a public office, I believe that it creates an ethical minefield that can only lead to problems for the Village. It was a similar minefield that caused me not to run for the Council myself, because I could not in good conscious represent the Village, and at the same time continue to write my blog about public corruption. I feel the same about Ulvert. He cannot represent the residents of the Village while doing the kinds of things he does in the course of managing candidate and issue campaigns, especially if in the process he makes enemies of the opponents of any of the people opposing his candidates or issues, and trust me he will, and the blowback could result in damage to the Village. In 2017, among the other stories I wrote about the goings on in the Village, I wrote a story in the aftermath of the reelection of Matt Glinn – and it is no secret that I am happy to see vacate his position on the Village Council. As part of that story I wrote about some of Ulvert’s activities. I did so because Ulvert was Glinn’s campaign manager, and I suspect that this too is not something that a lot of people in the Village are aware of now that Glinn is supporting Ulvert for the Council. Below is what I wrote then about Ulvert and his activities. Following that I will attach a copy of the previous story I wrote about Ulvert on this Facebook Page. In 2014, Ulvert was the Political Director for the Florida Democratic Party when Charlie Crist's campaign for Governor almost sunk the party. As a reward for a job not well done, Ulvert was "kicked to the curb," as some reports described his firing. 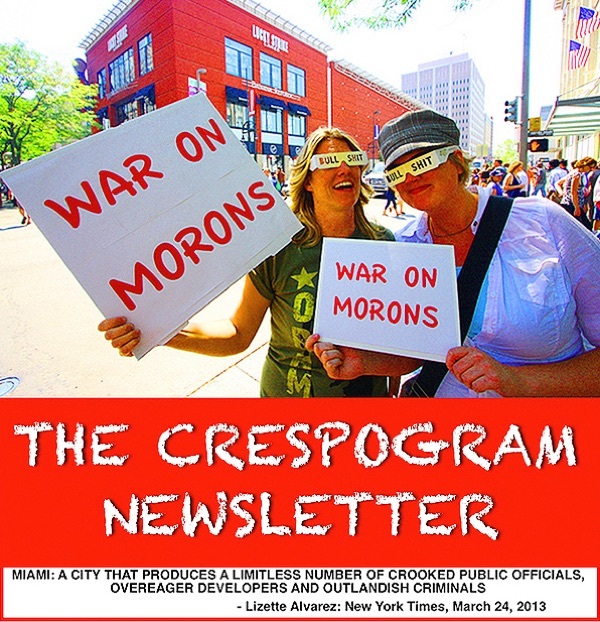 In 2015, when I first became aware of Ulvert, he was the campaign manager for Grace Solares, one of the candidates running to replace Miami City Commissioner Marc "Pay to Play" Sarnoff. I did a lot of stories about that campaign including one about how Solares, a life-long Republican changed her party affiliation from Republican to No Party Affiliation, 14 days after announcing her candidacy, and how I, and others who had provided me with information of what was going on inside the Solares campaign at the time, believed that Ulvert was behind the change, as a way to make Grace more palatable to democrats and local labor unions, who are traditional sources of money and manpower for big city and county campaigns. In addition to managing Pizzo's campaign, Ulvert was involved in the effort to change the campaign finance law in Miami-Dade County through a referendum that that would have all but abolished the rights of companies who do business with the county, their lobbyists and even their family members from donating money to county commission candidates, while continuing to allow labor unions and their supports to continue their political donations and support. In a series of stories that I did about this effort to tilt the tables in favor of the unions and other Democratic party interest groups, I revealed that Ulvert went from being the individual who incorporated the supposedly community-based group An Accountable Miami-Dade PAC, that claimed to be the folks spearheading this effort - although it was actually an effort by a Washington D.C. Group called Every Voice, who raised almost all of the $438,895.45 that funded this effort from out-of-state donors - and who paid Ulvert $47,171.80 in consulting fees. You can read that story HERE. In many ways the whole operation was a very shady deal that eventually resulted in the 3rd District Court of Appeals blocking the referendum from being put on the ballot, and convinced me that Ulvert was a snake who would deal from the top and the bottom of the deck at the same time. According to Glinn's campaign records, in 2015 and 2017, he paid Ulvert's company Edge Communications a total of $15,291,10, to be his campaign manager. The choice is yours, but remember that choices come with consequences.